Physical Description: 143 p., ill., 21 cm. 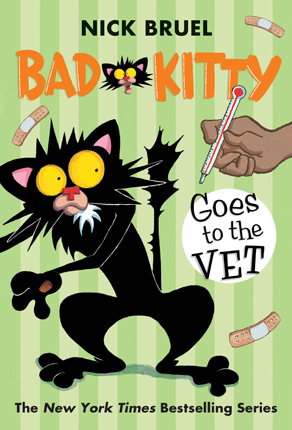 Even the best bad kitties can get sick, and when it happens, it means just one thing: a visit to the vet! School Library Journal - 12/01/2015 K-Gr 3—Kitty looks terrible and she is not eating. When she gets to the vet, she does her best to be bad, but the vet knows how to handle a bad kitty. After a short exam, the vet gives Kitty a shot that, she thinks, means the end—Kitty finds herself waking up in Puppy Paradise because of her poor treatment of dogs on Earth. She is sent back, however, with the warning that the choices she makes in her world can have serious consequences for eternity. There are special conditions that she must honor in order to make it to Pussycat Paradise one day. 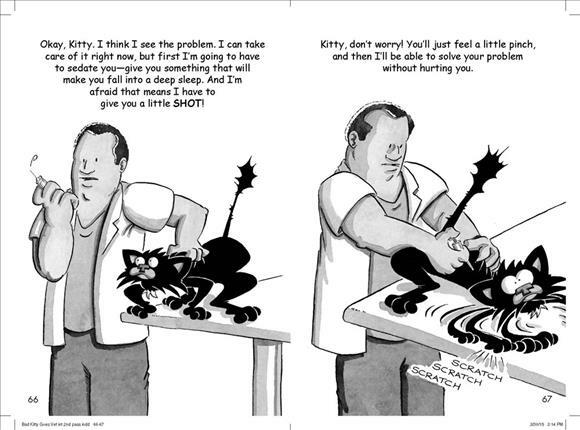 Uncle Murray's facts, peppered throughout, help cat owners determine if they may have a sick cat. The illustrations are a delightful addition to a hilarious text and add charm and wit to an already beloved character. VERDICT Die-hard fans of this naughty feline will love this new story, and newcomers will be in for a treat. Even the most reluctant reader will have trouble putting this one down.—Wayne R. Cherry, Jr., First Baptist Academy Library, Houston, TX - Copyright 2015 Publishers Weekly, Library Journal and/or School Library Journal used with permission.